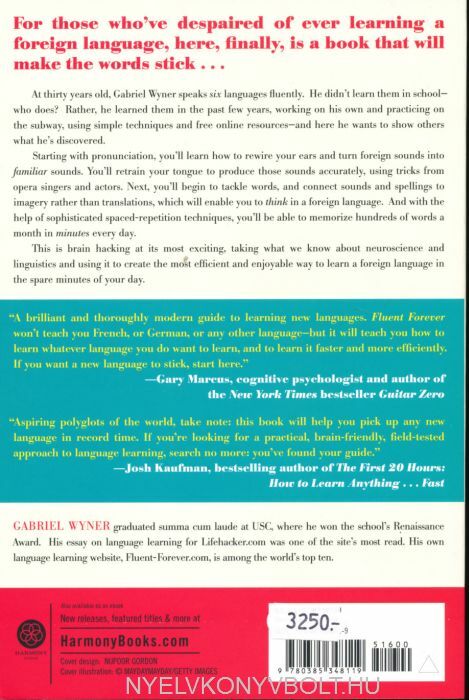 At 30 years old, Gabriel Wyner speaks 6 languages fluently. He didn’t learn them in school - who does? - rather, he learned them in the past few years, working on his own and practicing on the subway, using simple techniques and free online resources. 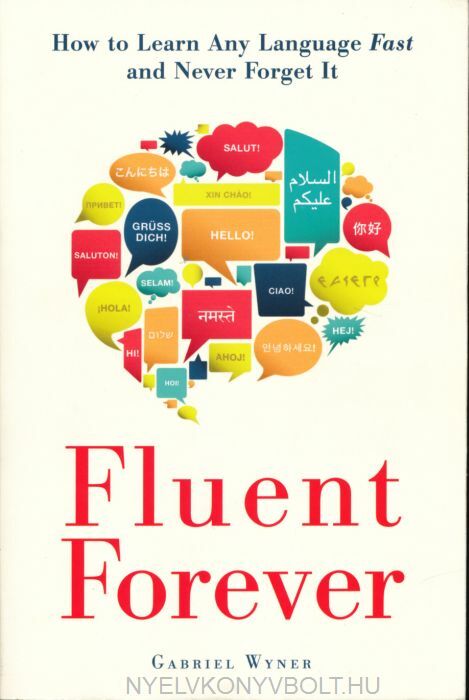 In Fluent Forever Wyner reveals what he’s discovered. Starting with pronunciation, you’ll learn how to rewire your ears and turn foreign sounds into familiar sounds. You'll retrain your tongue to produce those sounds accurately, using tricks from opera singers and actors. Next, you'll begin to tackle words, and connect sounds and spellings to imagery, rather than translations, which will enable you to think in a foreign language. And with the help of sophisticated spaced-repetition techniques, you'll be able to memorize hundreds of words a month in minutes every day. Soon, you'll gain the ability to learn grammar and more difficult abstract words--without the tedious drills and exercises of language classes and grammar books. This is brain hacking at its most exciting, taking what we know about neuroscience and linguistics and using it to create the most efficient and enjoyable way to learn a foreign language in the spare minutes of your day.